About Andrews Associates, LLC. – Andrews Associates, LLC. 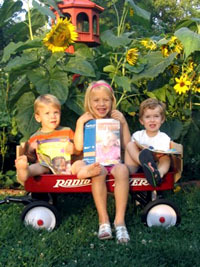 Since 1982, we have been serving libraries and schools throughout Western PA and West Virginia. As a family business, we have been focused on bringing the best educational products and the best in customer service to our customers. As independent educational representatives, we offer unbiased products and services to schools, both public and private, in the PreK to Grade 12 market. We strive to find products that fit your needs from our selection of multiple educational publishers. We also strive to maximize your budget and deliver the best in personal service! Contact us at literacy [at] tools2read [dot] com.